If you like to spend your leisure time outside, live where the weather cooperates, like Texas. 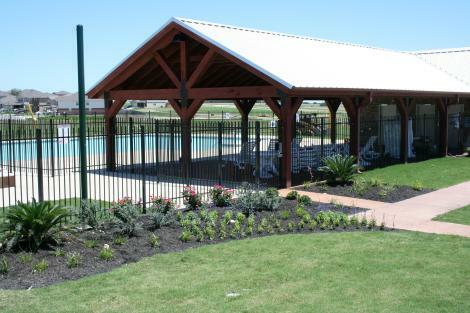 If you want to be close to outdoor recreation as well as city conveniences, live in Killeen, Texas. Tommie Harris Fitness Center (named after the Killeen native, San Diego Chargers defensive tackle, and NFL Pro Bowler); click here to see Tommie Harris’s return visit to his hometown. Killeen’s climate lets you make the most of the fun in the sun, with lots of sunshine and very little rain. Combine all this with a low cost of living—made even better by the new, affordable homes that Stylecraft Builders is building in Yowell Ranch—low unemployment, and easy access to Austin, and you have a place that earns the name, “Home Sweet Home”. Contact us for more information about moving to Killeen and the new homes that are currently available, as well as those that are planned. 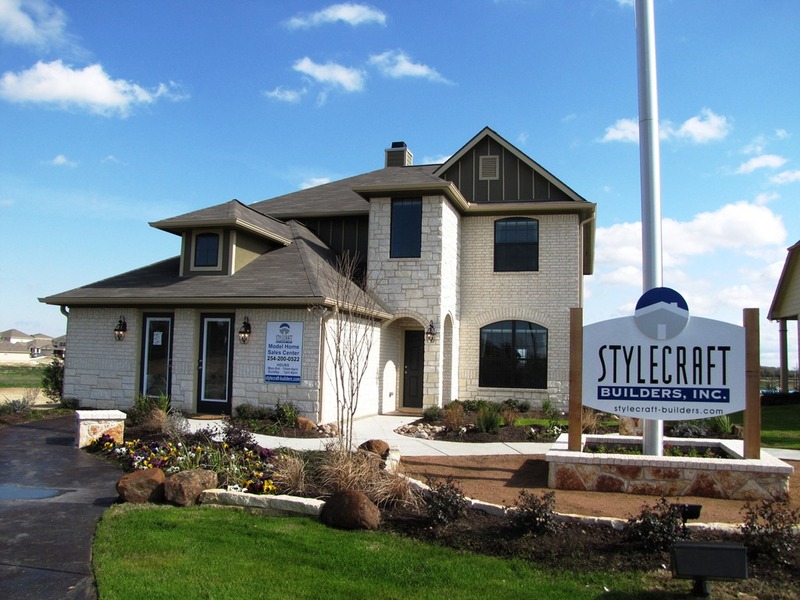 Ever since our company was founded 26 years ago, Stylecraft Builders has focused on the Bryan-College Station area of Texas—and for good reason. This is a wonderful community that offers a lot to its residents, including a strong economy, good schools, and a great place to live. We’ve enjoyed great success here, helping residents move into new homes in quality neighborhoods. Many plans also include a 36-inch woodburning fireplace and garden tub. Prices for a Yowell Ranch home by Stylecraft Builders are affordably priced at $120,000 to $220,000. The Landing at Clear Creek is close to Fort Hood, Texas A&M University Central Texas, and right down the road from The Killeen Fort Hood Regional Airport (GRK). Explore the opportunity to become part of a lovely neighborhood in a growing city with lots to offer. Talk to us at Stylecraft Builders to learn more about The Landing at Clear Creek. Have you ever driven by a house with a “For Sale” sign in front and wondered what it featured, the selling price, and all the other important information? 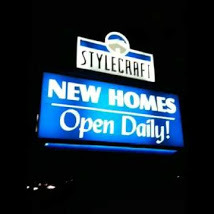 Well, Stylecraft Builders recognizes that you’re not just house-hunting in front of your computer, so we’ve launched a new mobi site where you can check out our properties on your smartphone: www.stylecraftmobile.com. This site lets you view available new homes, communities, and floor plans. You can browse by location and by community. You can get directions and even put in an inquiry, right from your smartphone. Make the most of your house hunting time by bookmarking this new mobi site on your phone so you don’t miss out on the affordable homes with built-in added value that Stylecraft Builders is known for. 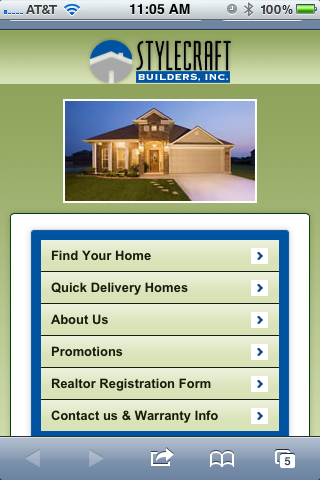 We have also included a new “Realtor Registration Form” for the realtors. It is a simple way for you to be “out and about” and register your client. Take a look at the new site and let us know what you think! Yowell Ranch in Killeen- This is What Home Feels Like! There are few places in the Killeen, Fort Hood, and Harker Heights area that are as easy to envision being “home” than Yowell Ranch. Stylecraft Builders is proud to provide homes in this beautiful master planned community that is just 10 minutes away from Fort Hood. This family friendly neighborhood boasts of an exclusive community park with swing sets and playscapes, a swimming pool, walking and jogging trails, basketball courts, and a community center. Amenities such as these are often found only in high end neighborhoods, but Stylecraft Builders has stylish Tuscan and French country style homes starting as low as $120,000! The luxuries don’t stop at the community either. Stylecraft Builders’ homes come with standard features other builders only offer as upgrades such as granite countertops, tile and wood laminate floors, and more! There are plenty of options for recreation and entertainment just minutes from this community, but when home feels this good, you may just find every excuse possible to stay in! Location, Location, Location! And Killeen, Texas is the Location!!! If the old saying rings true and it really is all about location, then you don’t need to look any further than Stylecraft Builders in Yowell Ranch. This community is situated in the ideal place for easy access to entertainment and recreation galore! With all the options of activities available within minutes of the new Stylecraft homes, there’s something for everyone! In addition to a gym, dance and exercise classes including salsa, zumba, tae kwon do, self-defense, ballet, jazz, tap, belly dancing (and more!) are offered at the Community Center. There are also athletic fields housed here where regional and national tournaments are often held. For those who are water fans, the Aquatics Center at Lions Club Park is a dream come true! You’ll feel like you’re at a premier water park with the large 10,360 square foot pool, lap pool, 3 water slides, spray grounds, and more! Also at Lion’s club park is the extremely impressive Family Recreation Center where you can work out in style in the state of the art gym or try one of the many fitness classes offered. The newly renovated Stonetree Golf Course with its rolling hills and fountains makes for a relaxing and scenic day of golf. This course is host to 25-30 annual golf tournaments every year as well as major area fundraisers. These are just a few of the wonderful facilities you’ll find just a short distance away from Yowell Ranch. Stop by the Stylecraft Builders model home today to learn more about why this community really is a great location for your new home! Autumn Lake Community – Down to Two!! Stylecraft Builders, your local new home builder is proud to present Autumn Lake!!! When we first started in Autumn La ke we had over 120 home sites available. Today we are down to just two homes, 2041 Autumn Lake and 2031 Autumn Lake. 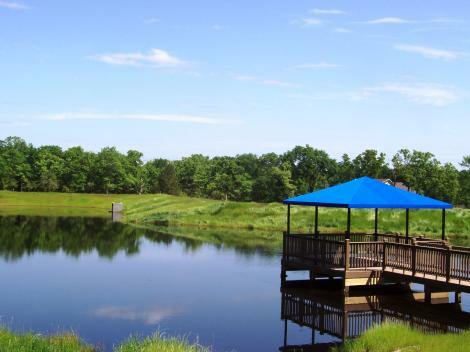 When you live in Autumn Lake you can enjoy natural beauty with the convenience and accessibility to the city! 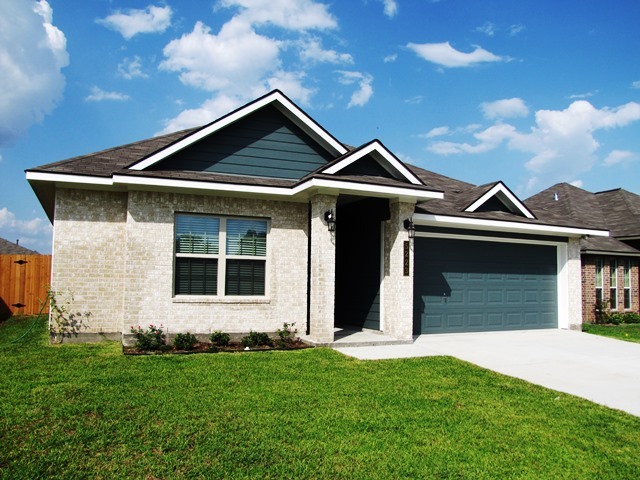 It is located in the growing area of West Bryan off West Villa Maria and across from Traditions Golf Course; Autumn Lake is a unique neighborhood featuring winding roads, treed lots and a stocked lake with a fishing pier! 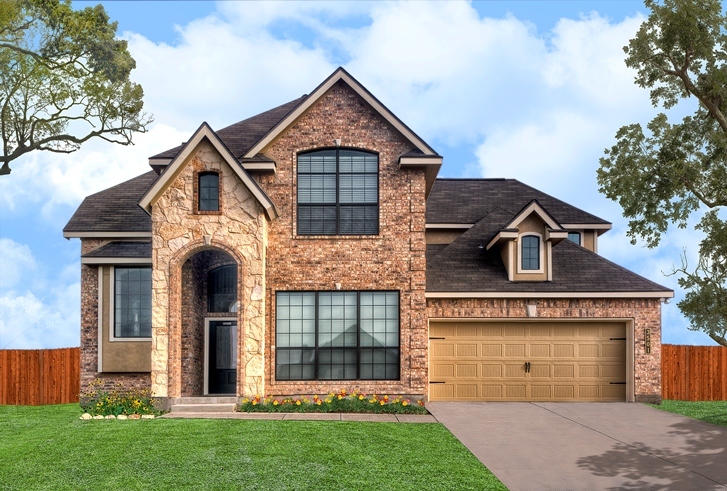 Stylecraft Builders homes in Autumn Lake start in the $140s, and feature Neo-traditional, Rear Load Garage Homes, Tuscan and French Country exteriors, with a fusion of brick, stucco, Cemplank or stone design. These elegant homes are reminiscent of a country villa, but are affordable and inviting for families.